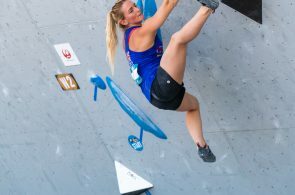 Check out some of the great shots from the World Cup in Vail at this year’s GoPro Mountain Games! 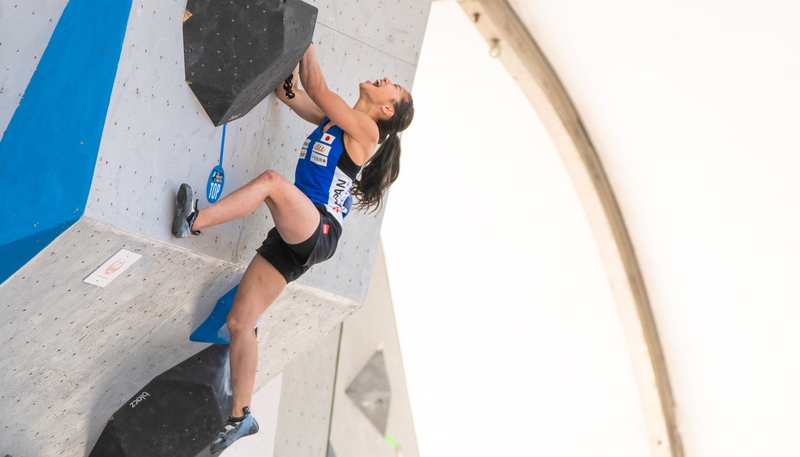 Overcome with emotion, Miho Nonaka celebrates her top in finals. 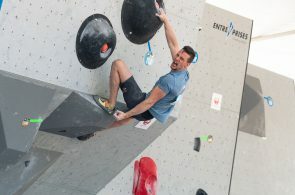 Jernej Kruder topping out in semifinals with a yell and a fist pump. 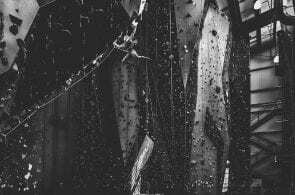 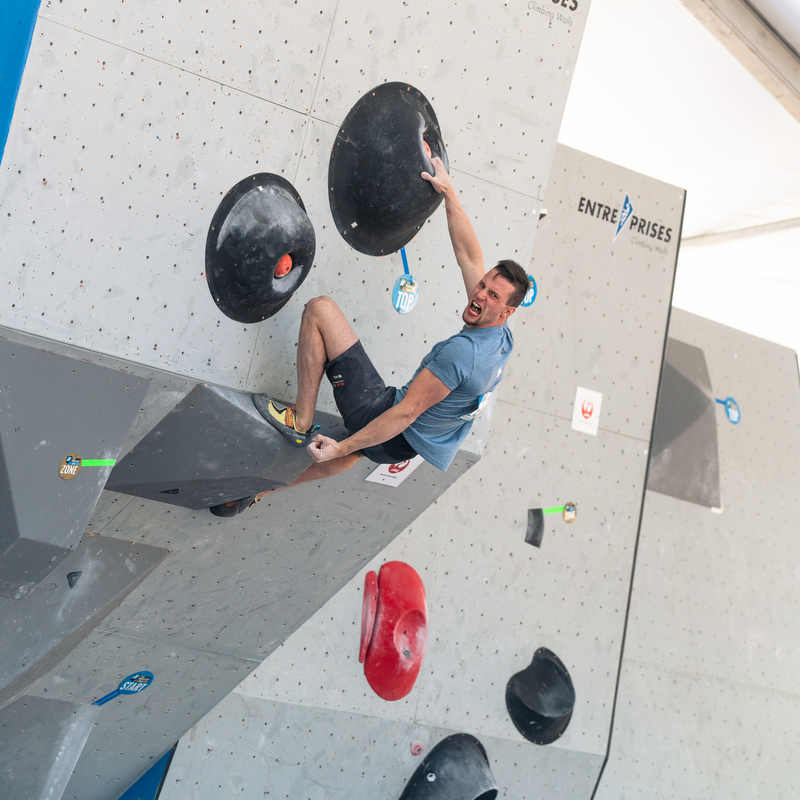 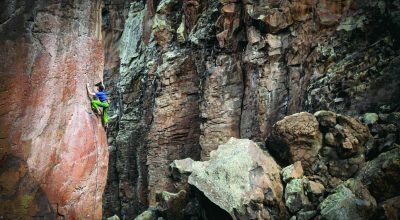 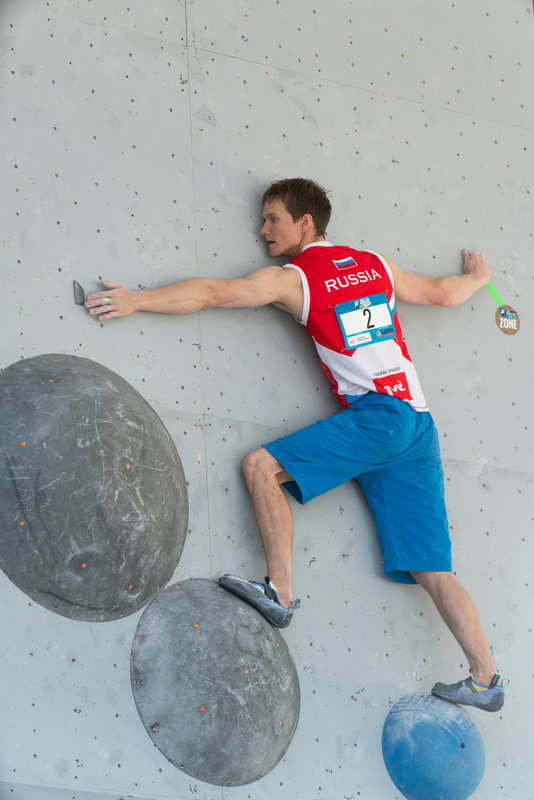 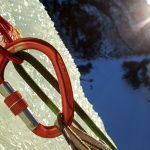 Aleksei Rubtsov works the difficult slab problem that started off the competition in Vail. 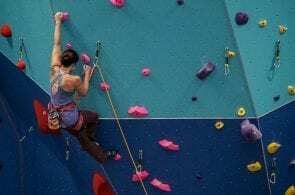 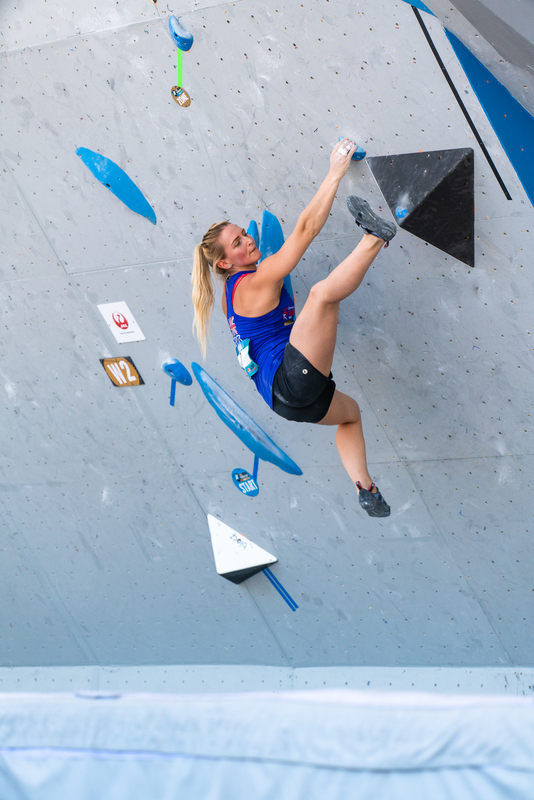 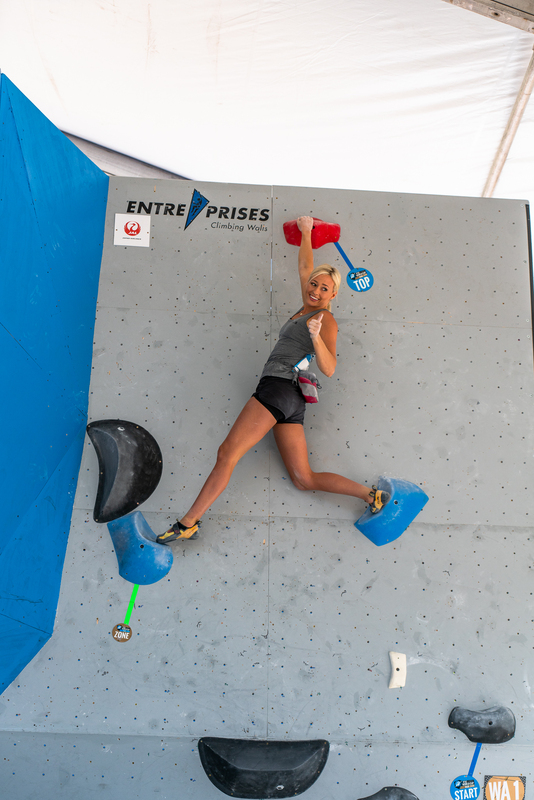 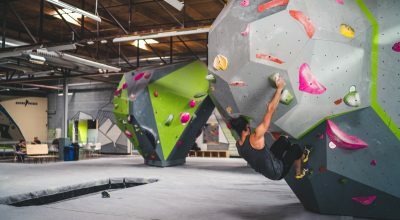 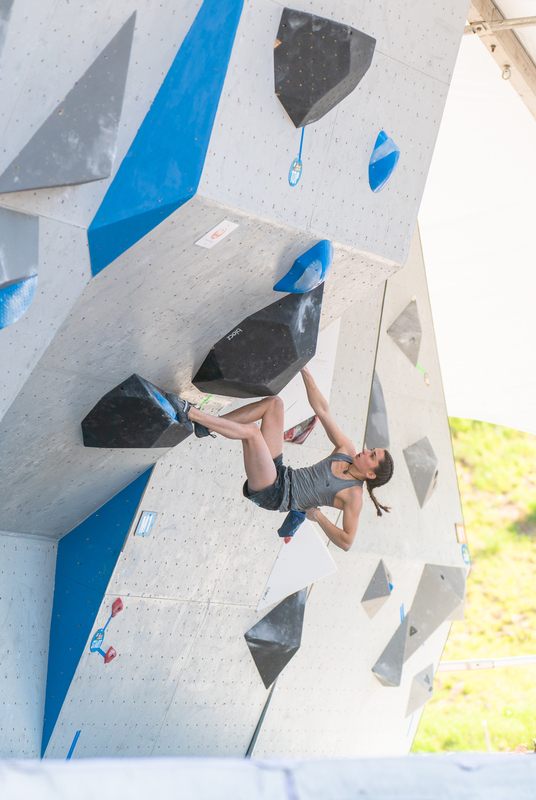 Kyra Condie chalks up after sticking a massive dyno during finals. 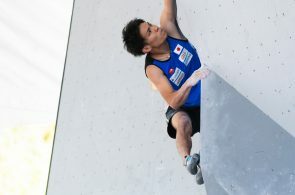 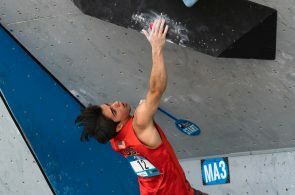 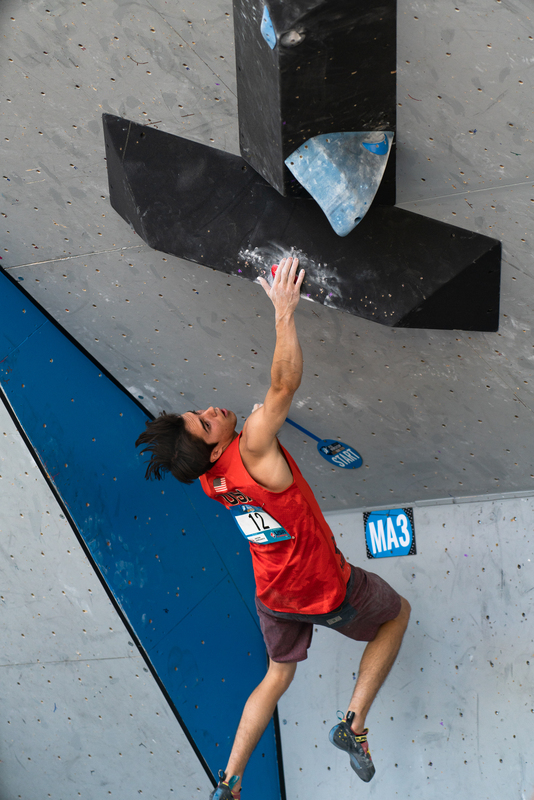 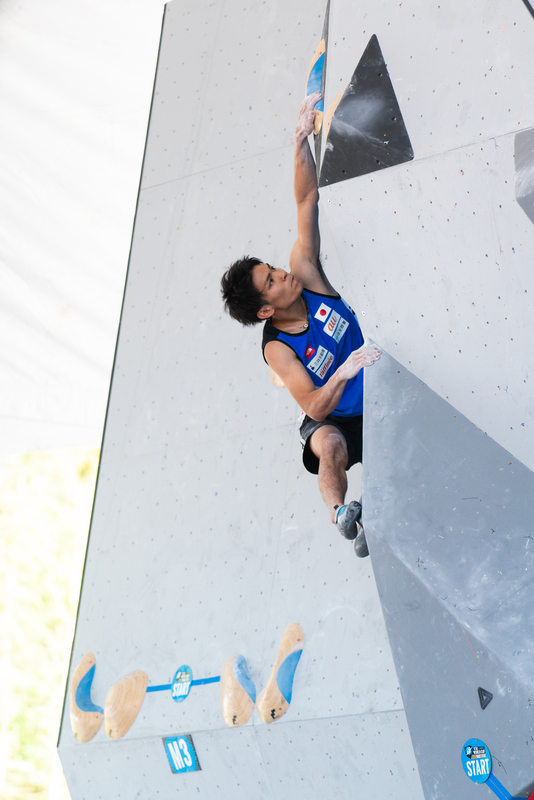 Tomoa Narasaki turns the corner on the tricky slab problem on Men’s #3 during finals. 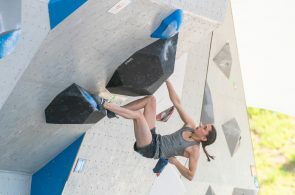 Leah Crane working through the foot transition on women’s #2. 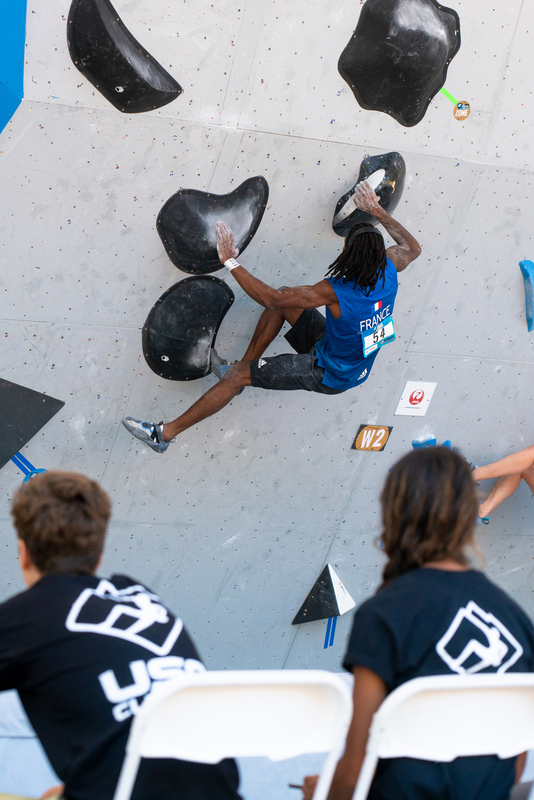 Sean Bailey staying focused during men’s qualifiers. 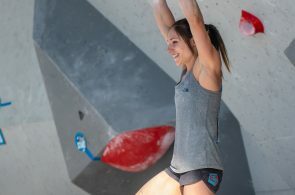 Sierra Blair-Coyle gives a big smile after topping out a problem. 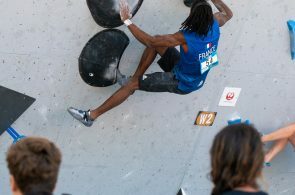 Mickael Mawem climbing through semifinals as the judges look on. 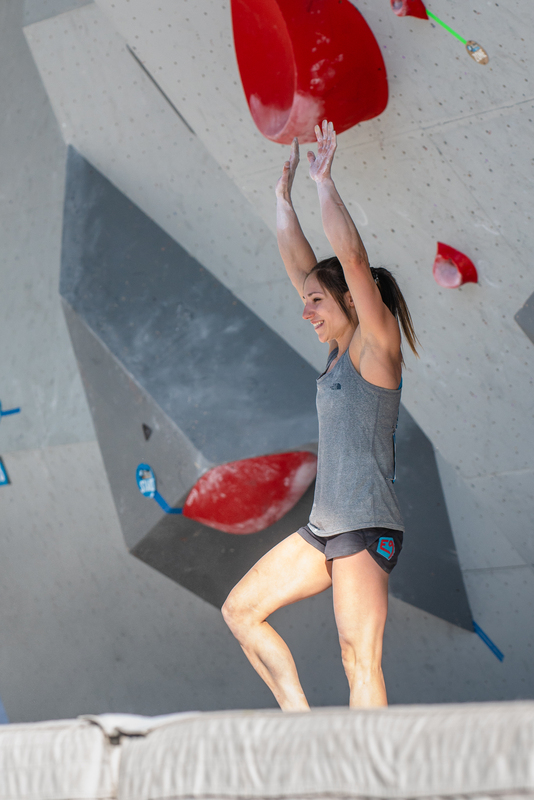 Alex Puccio waves to the crowd after flashing the last problem in finals and winning the 2018 IFSC World Cup at Vail. 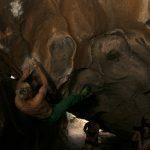 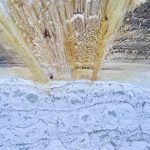 All photos by Levi Harrell.